Former TechCrunch developer Ben Schaechter left TC a couple months ago to launch his own startup and today we finally get to see the fruits of his labor. Sick of the poor analytics, lack of geographical information and little vote analysis on industry leaders like Poll Daddy, Schaechter built GoPollGo to maximize what he felt was the potential of polling services. The beautifully designed site is based on a freemium model. It’s simple to make an embeddable poll like this one, this one or this one. 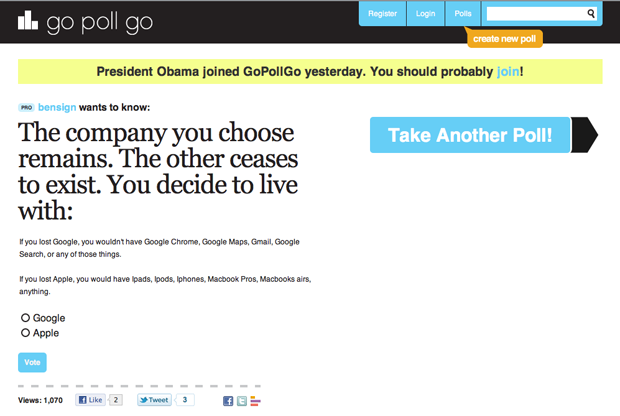 Users can then share it with friends via Facebook and Twitter, get comments or discover new polls. Premium subscribers can also access analytics on their polls, segment voting data and as well get reports like the one below. Schaechter’s future plans include building out the feature base and community for the bootstrapped GoPollGo as well as raising funding to potentially hire more people. 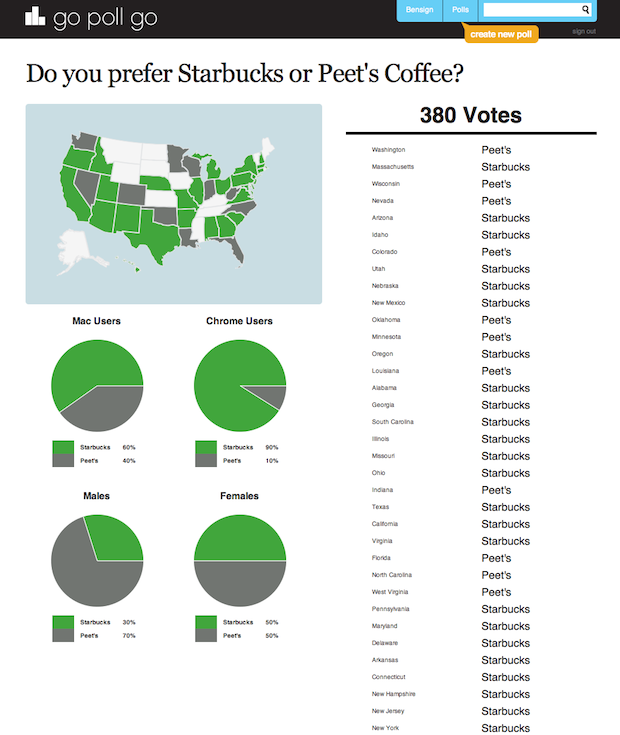 “[We’re] focusing on building the best social polling website on the Internet,” he says. You can take the “Apple vs. Google” poll here, or just have it out in the comments.